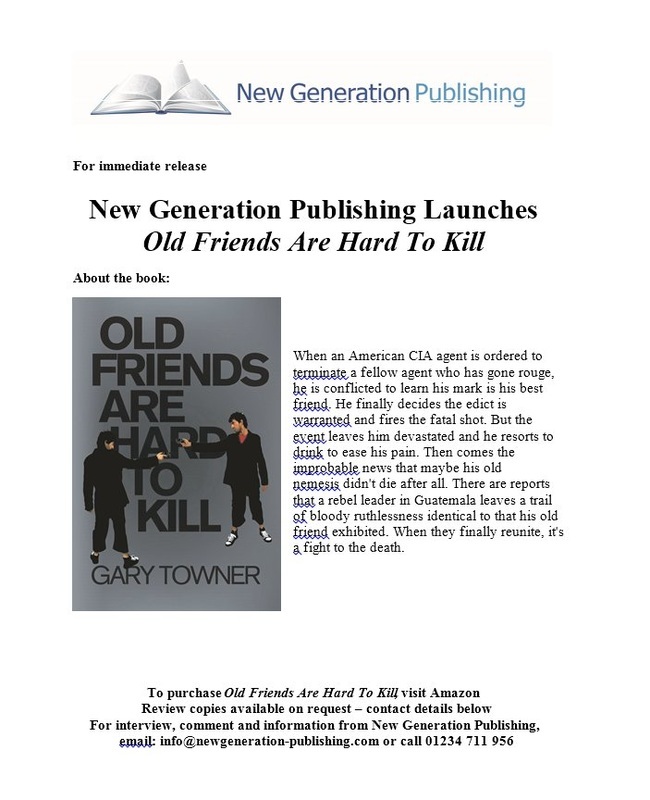 Gary Towner, Author of the Sci-fi novel, The Pestilence, and The Johnny Walker Adventure Series - Tab#1 Tab#1 Old Friends Are Hard To Kill. Whowrotewhat wrote on September 7, 2014 Format: Hardcover. This author must have insight we can all use. Although a novel, it can just as well be considered non-fiction. Well worth reading. Tab#1 Tab#1 Old Friends Are Hard To Kill. Whowrotewhat wrote on September 7, 2014 Format: Hardcover. This author must have insight we can all use. Although a novel, it can just as well be considered non-fiction. Well worth reading. Tab #7 Want to see the whole smear?